Living here offers the very best in town and country living, with the breathtaking Chiltern Hills on the doorstep, the River Thames just a short walk away and a range of excellent amenities and schools within easy reach. Just six miles from the A404, you can connect to the M4 and M40 and reach larger towns and cities including Reading and Oxford with ease. There are excellent public transport links in the town and Henley-on-Thames also has its own train station, providing regular trains to London Paddington. Highlands Park combines the charm of the countryside, the relaxation of the water and the excitement of the City to offer its residents a truly unique place to call home. Built on the former Highlands Farm, this magnificent development is nestled on the outskirts of the highly desirable market town of Henley-on-Thames and offers an unrivalled way of life. People come from far and wide to appreciate the iconic events here, which include the world-famous Henley Regatta, the summer arts festival and the musical extravaganza at Rewind festival. As well as being a world-class sporting and entertainment destination, Henley boasts an array of boutiques, designer retailers and high-end restaurants. You can also take advantage of the close proximity of the M40 as well as train links into the capital. The wide range of homes available will help build a cohesive and sustainable new community, spanning a variety of ages and interests. Highlands Park is in a highly desirable location. Set amongst the impressive Chiltern Hills it is easy to forget you are within easy reach of central London. The development is approximately six miles from the A404, where you can connect to the M4 and M40 and reach larger towns and cities including Reading and Oxford. There are excellent public transport links in the town, with a regular bus service running to nearby villages. Henley-on-Thames also has its own train station, which is only a ten-minute drive away. The station provides regular trains to London Paddington, with an approximate journey time of 1hr 6 minutes. A journey to central London will be even easier when Crossrail comes to nearby Twyford station, making Paddington a mere 44 minutes away. For those that want to travel further afield, Heathrow Airport is just over half an hour away by car. On Saturday 16th February Crest Nicholson will be offering a unique opportunity to ‘Ask the Experts’ at an exclusive home buyer event, hosted at Highlands Park in Henley-on-Thames. From first-time buyers to second-steppers or those looking to downsize, a range of independent property experts will be on hand to offer tailored advice and support on property ownership in the local area. 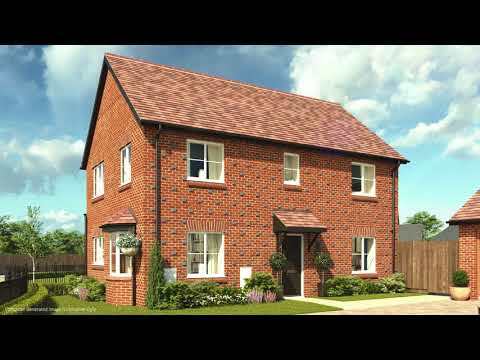 Prospective buyers looking for a new home in time for the New Year can look no further than our Highlands Park development in Henley-on-Thames. With a range of three, four and five-bedroom houses available, there is something to suit everyone from first-time buyers to second-steppers and downsizers alike. Moving has never been easier, with many buyers able to benefit from having their stamp duty paid on selected plots as an added Christmas incentive ahead of 2019.